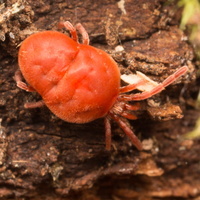 Superorder Acariformes - mitelike mites Order Actinedida Suborder Parasitengona Superfamily Trombidioidea EN: Velvet mite DE: Rote Samtmilbe Sensitive to humidity and apt to dry out easily, red velvet mites make their home in the litter layer of woodlands and forests. 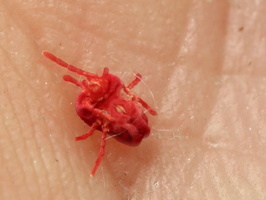 As larvae, they attach themselves to a variety of arthropods and feed parasitically. 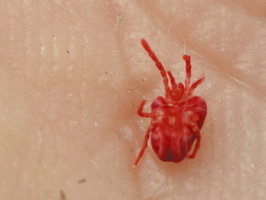 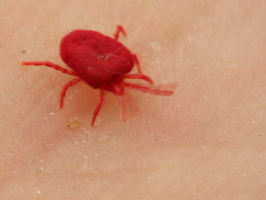 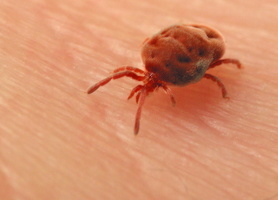 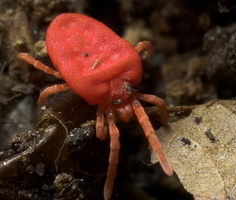 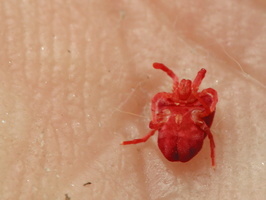 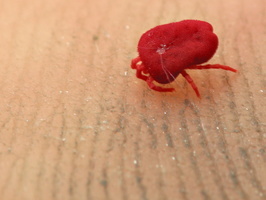 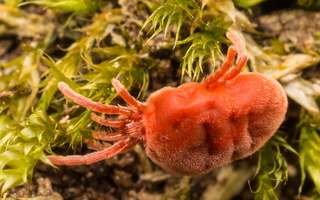 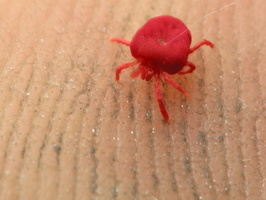 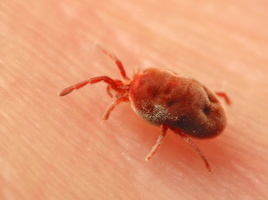 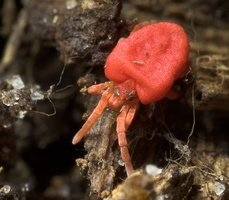 When red velvet mites become nymphs and then adults, they take to the soil to devour much smaller prey, including other mites and their eggs, the eggs of insects and snails, and primitive wingless insects.